The year was 2007 when most of the world was celebrating the invention of an iPhone with a multi-touch interface by Steve Jobs and with it came the ease of access to check emails and browsing the web as effortless as just tapping a screen. This accessibility was opportunities that lead to an idea, which was taking shape in the mind of an entrepreneur in India toward the thing he loved the most, “Travel”. What followed next was an evolution of Indiator who have till date designed altogether dream holiday to India over 1 Lakh clients. It’s been a decade now and Indiator has become a leading provider for world-class travel service such as short tours, things to do, ground transportation, guided tours, cooking classes & activity tours across India. The Indiator is basically a unit of "My Flight Trip," which is the primary supplier for B2B agents around the world for India destination. With the vast set up and extensive support of My Flight Trip, Indiator has always provided quality service. Whether it is the same day or a 12 days India tour package, Indiator aims to make each trip a memorable event. Your journey with Indiator is in association with some of the best things to do provider in India that offer exceptional holiday. 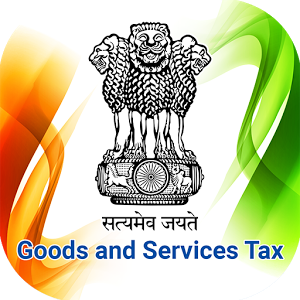 We are registered with the GST by Government of India and our GST number is 09APGPK6095J1ZC, Indiator is an entity of "My Flight Trip," and therefore we are registered under the name of "My Flight Trip." The Indiator is an approved inbound travel agent from "IATO" Indian Association of Tour Operators and has various national and international memberships. Indiator has been lauded with many accolades, and awards in the travel industry. We bagged an award for being among Top 10 Best Startup Companies in India, from Siliconindia, which is an acclaimed magazine that project stories of growing entrepreneurs, their phenomenal journey and accomplished CEO marking a distinction on the global level. Indiator is run and managed by My Flight Trip. We are well known for providing a top-notch travel service. Adding another feather to our cap we have received a 5-star rating from Viator and have been awarded the Top Rated Achievement title that distinguishes us as an outstanding provider for the world’s leading tours, activities and attractions booking platform. The awards bear the testimony to the success of Indiator and GetYourGuide honor our achievement of being a top partner for the leading activity provider company. GetYourGuide turns your dream to travel into reality. They offer invincible activities for all types of travelers creating memorable moments. In a short span, Indiator has achieved its travel goals and has earned awards from Business Connect Magazine for being Brand of the Year, 2018. Business Connect is a platform, which has the highest readership and it connects entrepreneurs, executive officers, and VCs. We are partners with Trustpilot, which is an independent community-driven review platform that provides an opportunity for guests who have traveled with us to share their experience and rate us on the basis of our service. We are recognized by ASTA as a member of society that adheres to the norms of professionalism, leading to the enhancement of the travel Industry. 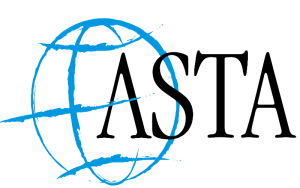 ASTA (American Society of Travel agents) is the leading advocate for travel professionals whose members include travel agents. They provide various benefits to its member. The Indiator is affiliated with IATO, Indian Association of Tour Operators (IATO), which is the National body of the tourism industry. IATO has a close-knit relationship with the Government and it interacts with all critical Issues affecting the tourism Industry in India. Our website is secured with SSL certificate that protect our domain and subdomains by inscribing communications between the server and visitors. Secure Sockets Layer (SSL) is a procedure for transmitting private documents via the Internet. It is basically a secure channel valuable to customers and businesses required for cloud-based transactions. The experience of traveling to India is priceless. With the best price guarantee on all tours, you will always get the eye-catching deals on Indiator with no hidden extras. We strive hard and offer phenomenal travel service at a fair price. We like our holiday packages to India be as unique as your interests are, so all of our trips are completely tailor-made to your specific requirements. Devised with keeping in mind, the traveler’s curiosity our experienced travel experts have the resources at hand to make your dream holiday a reality. If your search for the perfect tour ends at Indiator, but wish to customize it to your own liking, you can make an inquiry directly with the tour operator. He/she will provide a high level of attention to detail, building long-standing relationships with customers. We are expert in private touring and provide more travel choices ranging from day trips, multi-day tour, excursions, customized tour, cultural and theme tours, sightseeing, airport/railway transfer, fixed departures and long escorted tours that make us a one-stop shop for travelers.